The new optical arrangement, including two fluorite front elements, reduces the overall weight to 3800g, compared to 4620g for its predecessor, for more balanced handling. The new Nikkor 400mm f/2.8E FL ED VR is a Nikon full frame FX mount lens for use on pro Nikon bodies, such as the D4. With a price tag of €12,379 it is certainly the preserve of professional sports and new photographers, who demand the very best optical performance, construction and features. The maximum lens aperture of f/2.8 ensures these pros can work in all lighting conditions, and still get the fast shutter speeds their work demands. The optical construction to make that possible however requires lots of big glass, making a 400mm f/2.8 prime lens a big and heavy beast. The big news on Nikon’s latest version therefore is the inclusion of two fluorite elements (that’s where the FL abbreviation in the name comes from), which significantly reduce the overall weight of the lens compared to its predecessor. The new lens weighs in at approx 3800g compared to 4620g, and with these two lighter fluorite elements positioned at the front, the lens’s centre of gravity shifts towards the camera for improved handling. 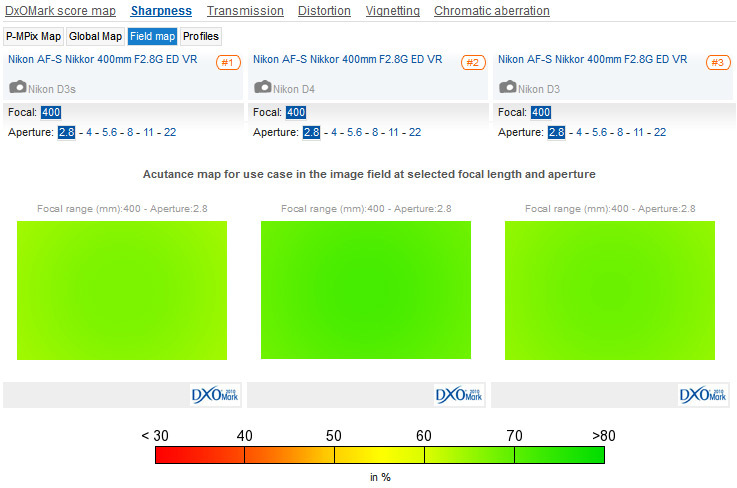 Nikon state the new fluorite elements actual improve optical performance, which sounds almost too good to be true, lighter and better? But if Nikon’s claims that the fluorite elements improve transmission, whilst reducing chromatic aberrations, in a lighter and more ergonomic lens, then Nikon sports and news pros may find upgrading hard to resist. What’s more, designed with the rigors of pro shooting environments in mind, the new fluorine coating on the lens elements also helps repels water, dust and dirt. Handy when you have to shoot in all weather conditions. We’ll be testing the new Nikon 400mm f/2.8E FL ED VR as soon as we can. 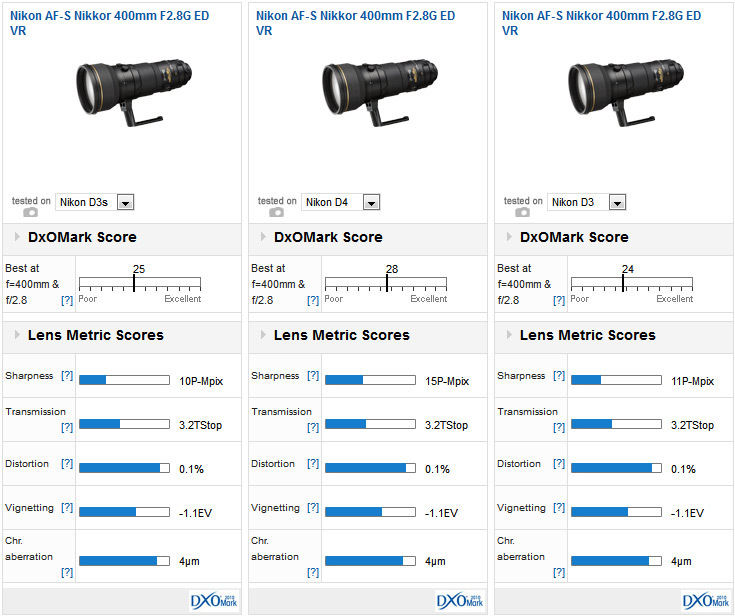 Here’s how its predecessor performed attached the Nikon’s D4, D3 and D3s full-frame DSLRs. The original Nikkor 400mm f/2.8G ED VR delivers consistent results in almost all categories with the exception of Sharpness, where results on the high resolution 16Mp Nikon D4 offer a significant improvement over the 12Mp Nikon D3 and Nikon D3s. Performance at the maximum aperture of f/2.8 is crucial for pro sports and news photographers. On the D4 & D3 edge sharpness is perfect and although it drops slightly on the D3s it’s still within the realms of very good. The new Nikon 400mm f/2.8E FL VR also benefits from the addition of a new Vibration Reduction mode, called SPORT VR. SPORT VR promises a more stable image through the viewfinder whilst panning fast moving subjects, such as motor sports, and reduces shutter lag whilst shooting in continuous capture mode. Shooting with VR turned on can increase shutter lag, which is obviously an issue for photographers capturing fast moving action, so the promise that SPORT VR will reduce any lag, and help the lens perform as if VR is turned off, will certainly be of interest. The VR system itself still offers 4-stops of anti-shake performance, which, in theory, makes it possible to get sharp shots hand-held using shutters speeds as slow as a 60th second. Generally speaking that is going to be more useful for news photographers shooting relatively static subjects, as opposed to sport pros, who invariable need very fast shutter speeds. 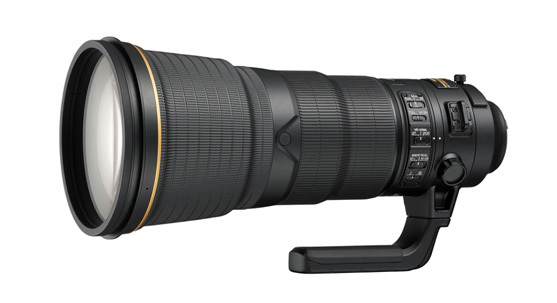 Announced alongside Nikon’s new 400mm f/2.8 prime is an updated x1.4 teleconveter. 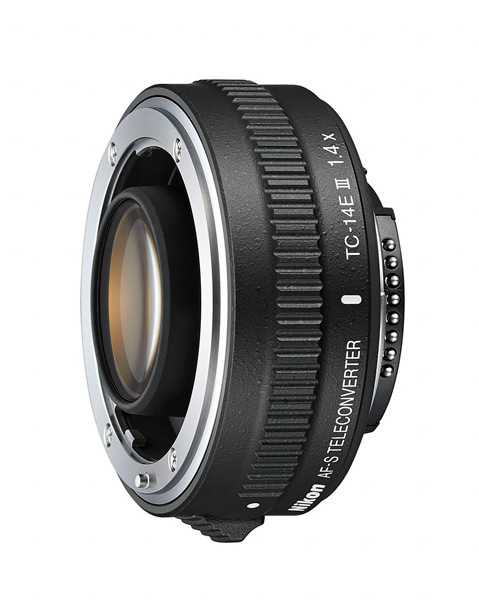 The new AF-S TC-14E III is Nikon’s 3rd generation AF-S x1.4 teleconverter, which increases the focal length of some telephoto prime and zoom lenses by 40%. Boosting the focal length also reduces the amount of light passing through the lens, which increases the maximum aperture by 1-stop when using a x1.4 teleconverter. Attached to a 400mm f/2.8 lens therefore the Nikon AF-S TC-14E III increases the focal length to 560mm, with a new maximum aperture of f/4.